Expectations of motherhood: To be honest kids always scared me, it wasn’t that I didn’t want one of my own one day, but I didn’t know what to do with them, how to hold a baby safely or entertain a toddler. Though as I got older, and friends and family started having babies, I had the urge that it was right for us to start our family. I didn’t have many expectations of motherhood other than imagining spending my maternity leave, cleaning, cooking and being supermum (didn’t happen)!! My main focus was the time just after the birth. I’d decided that I had to give birth somehow, so didn’t want to worry about that, as the little person inside me had to make their entrance one way or another. So instead I focused on the first photos, the cuddles, the visits and was strangely excited about the balloons saying, ‘it’s a girl/boy’!!! Reality of motherhood: I never got my balloon! I have a snapshot image in my mind of the moment Matilda was born. The nurse lifted her long body up and I saw her beautiful big eyes, looked at Chris and said ‘She’s a girl’. The nurse placed her on my chest for literally one second, and then she was taken away. Matilda stopped breathing as she had the cord wrapped around her neck twice and had swallowed meconium. I remember them taking her to the little table in the corner, the alarms ringing, and the emergency team running in to resuscitate her. I don’t think I believed what was happening and having watched too much ‘One born every minute’, kept telling Chris that it’s ok, not all babies cried immediately and it’ll be fine. However the minutes passed and eventually, they got her breathing again. I sent Chris to give her a kiss from us both. She followed him with her eyes and I knew he’d saved her for us. 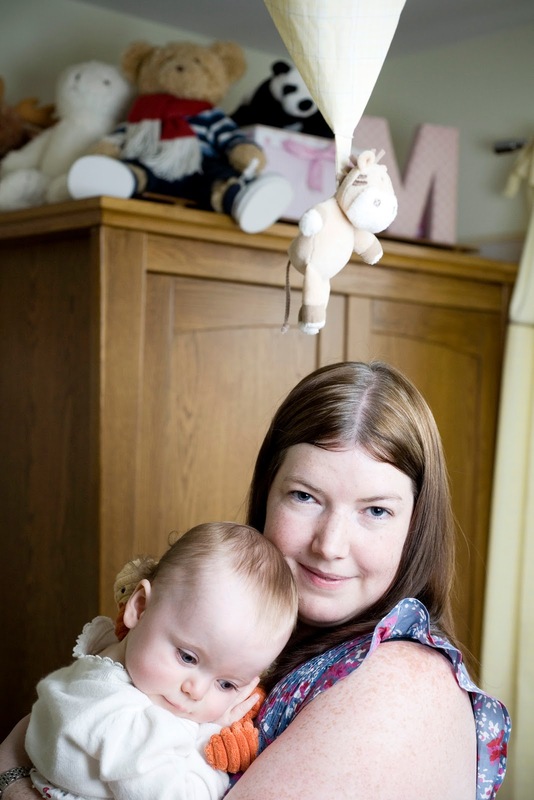 Matilda was whisked off to SCBU and put on a cooling mat to try and reduce any further risks to her brain. I didn’t see her for the next 3 hours and it was 10 days before I could take her home. After this happened, everything about motherhood amazes me. I love it, I love her and I’ve never felt so close to Chris. Life got put into perspective in those 10 days, so a sleepless night is annoying but I’m blessed to have them and when she finally cried a week later than she should have I cried too, but mine were tears of happiness. We’re so lucky as Matilda is a happy, loving baby who pretty much sleeps through the night every day. For me, motherhood is the best thing ever. I was numb. I couldn’t cry – I just existed and went on to the next task. The day we finally took her home was amazing, and a little daunting. I was so used to machines monitoring her every breath, that I didn’t think we’d cope without them. She was fast asleep when we got back, I put her in the Moses basket and fell asleep on the sofa after giving everyone else strict instructions to watch her and never leave her alone! The best/worst advice: The best advice I had was to go to NCT classes. I made some great friends, who I can share troubles with, are a great support network and fun to be with. The best thing anyone ever did for me was a neonatal nurse called Debbie. Day 3 of Matilda’s life was hard and after being told we may have to decide on Matilda’s future based on potential quality of life was horrific. There was a baby in front of me in an incubator that logic told me was mine, but I didn’t want to love her (even though I did) as I thought that would make things easier. I used to peek into the room all day just to check everything was ok. Debbie could see I was struggling and took my hand, got a chair next to the incubator, she opened the side up and slid Matilda out, like she was on a baking tray!! She put my hand on her stomach and that did it, I sat for half an hour looking at my beautiful girl and fell in love completely. She was fighting for us and I had to be strong for her. The worst advice I had was surrounding breast feeding. I just couldn’t get to grips with it, stress reduced my milk levels and after everything that happened I just wanted my little girl to have food. For us bottles and formula changed everything, we were both happier and healthier. If I had another baby I’d try again, but the pressure that I felt and the feeling of failing Matilda was immense and now I realise totally unnecessary! The hardest part of being a mother: For me the hardest part was those first two weeks. Firstly telling everyone she’d arrived! That was supposed to be a joyous moment, the ‘mum and baby are well’ text. I couldn’t do that! To tell other people she’d arrived but was poorly and may not survive was tough. It took me nearly a week to tell friends. I didn’t want to upset people and felt I’d let them down, our family were on this journey too and it must have been tough for them! I tried to be strong/positive for them, but at night on our own we’d crumble. It’s also hard to believe its all ok. All the consultants can tell us is, it could take years to know if there are any side effects and what they could be and how severe. Matilda is so bright and active and alert that everyone goes ‘there’s nothing wrong with her’. However as positive as I am, I won’t let myself 100% believe it as I don’t want to jinx things. I just know I love her no matter what and always will. Everyday is amazing and every milestone is just another tick in a long list of things. The best parts of being a mother: Everything! Watching her achieve milestones is amazing! She has an infectious smile and brilliant laugh. Matilda is so interactive, and loves giving cuddles and kisses, which makes me feel special to her. She is turning into a little person, who is a perfect blend of both Chris and I. She also makes me so proud; to watch her bring happiness to other people is fantastic. Matilda is the person that turned Chris and I into a family rather than a couple. Hopes for your family: Happiness and health. 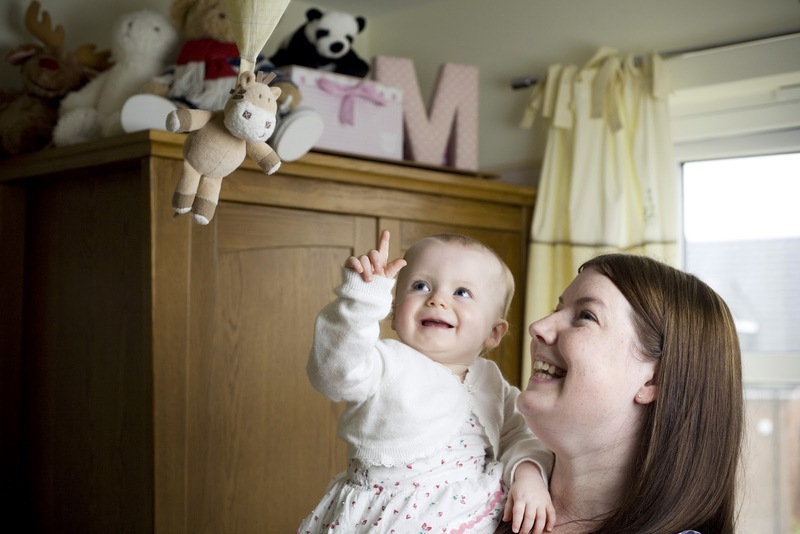 What advice would you offer to new and expectant mums: Those first few weeks are tough. Being left alone with your baby can seem daunting and some days you feel as if you haven’t moved away from the sofa or the bed, but it will get easier. Make sure you have a good support network, if you know someone else is still up at 2am – you’ll feel much better about it. Also don’t doubt yourself, so many people will try and tell you what’s best for your baby, but you are the only one who truly knows if they are too hot or too cold etc. Don’t be disappointed if you struggle with something, the daydream of being a mum and the reality are two different things. Being a mum is a tough enough job without all the expectations put upon you. If you and your baby are happy then you are doing the right thing for you. Finally and most importantly enjoy it! People don’t lie when they tell you it goes so quickly. Cherish every moment with them and take lots of photos!